Simply connect your HF antenna and tune in. 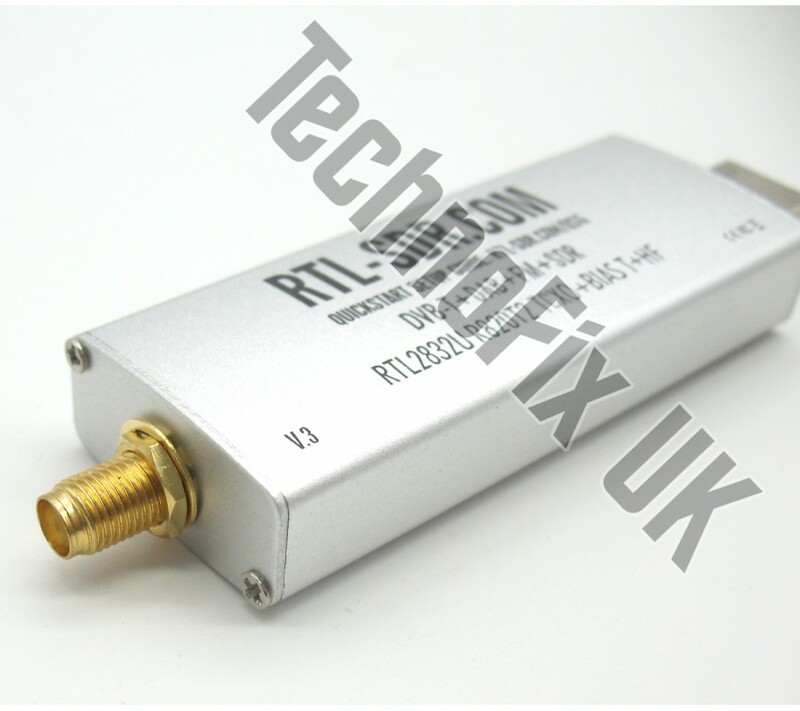 To power LNAs or active aerials via the antenna socket. Now enabled in software, no hardware mod needed. For experimental use - synchronising multiple receivers for diversity for example. More durable and easier to obtain and fit than the MCX connectors on standard dongles. Now much longer and with nut for panel/box mounting. Much improved frequency accuracy (set-up within 2ppm) and reduced drift over time/with temperature (1ppm) over standard RTL-SDRs. 1ppm = 1 part-per-million = 145Hz at 145MHz. Extruded aluminium enclosure gives better screening, reducing interference. 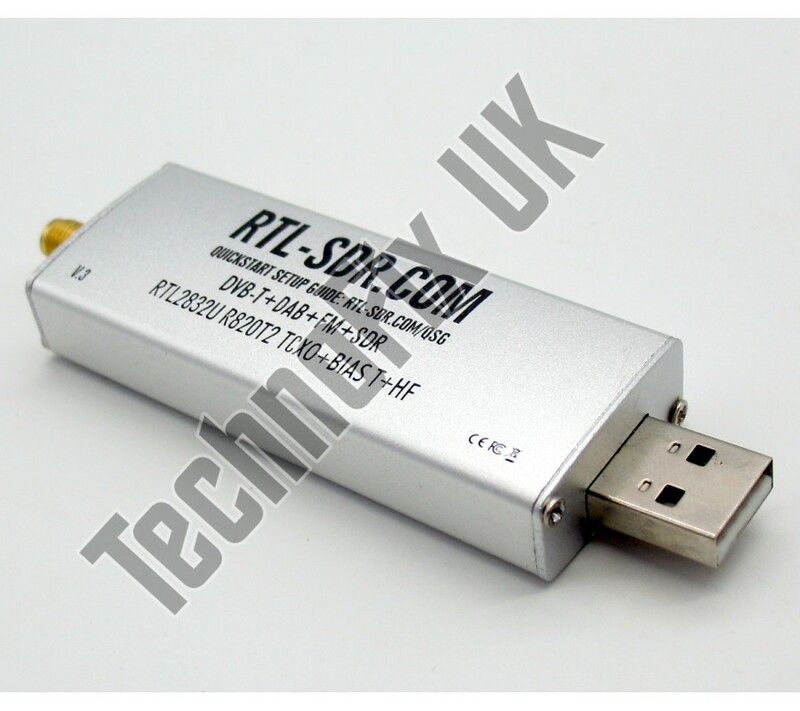 The frequency range of an RTL-SDR is nominally 24 – 1766 MHz. With direct sampling (now enabled by software) or a suitable up-converter (e.g. the ham-it-up) HF signals below 30MHz can be received. Please note: The SMA is not a reverse polarised type as often found on wi-fi equipment. A high quality inter-series adapter. 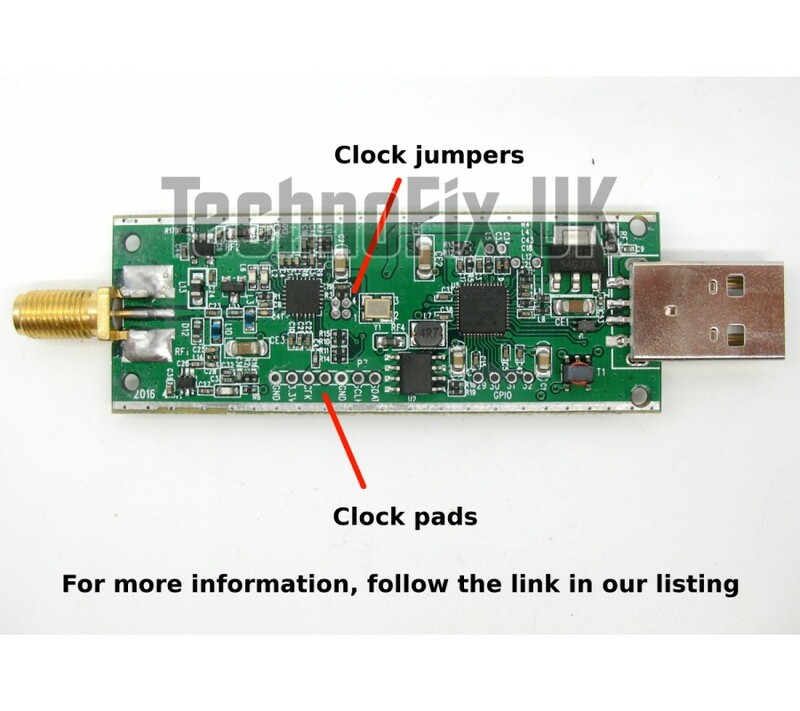 Fits FUNcube dongle.Please note: the SMA female is NOT a "rever.. This handy cable enables you to quickly and easily connect antennas with a PL259 connector to your F.. This handy cable enables you to quickly and easily connect antennas with a BNC connector to your FUN.. This handy pigtail screws into the antenna socket on your hand-held and enables you to use antenna..
A high quality inter-series adapter. Fits FUNcube dongle and our super-stable SDR for example.Please..